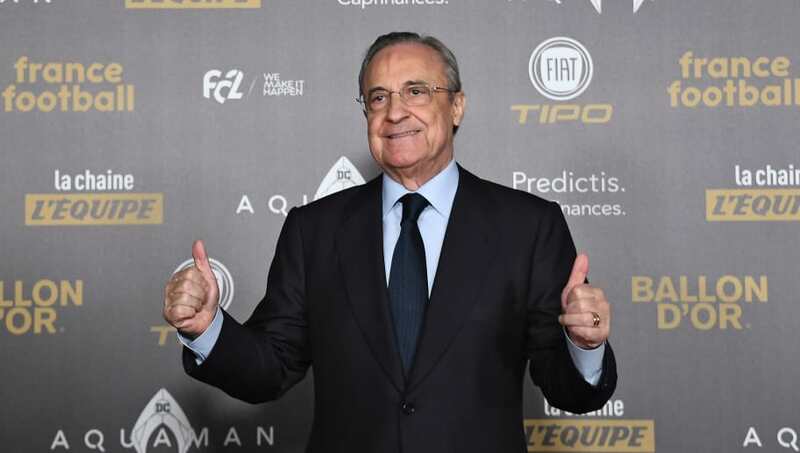 ​Former Real Madrid president Ramon Calderon claims that his successor, Florentino Perez, was to blame for Zinedine Zidane's resignation at the end of last season. Zidane left his position in May after winning a third consecutive Champions League title. Two months later, Cristiano Ronaldo also left the Bernabeu to sign for Juventus. Calderon claims that Perez's insistence on selling ​Ronaldo instead of ​Gareth Bale, with whom Zidane did not get along, was one of the main reasons why the Frenchman resigned. "Zidane made it very clear when he decided to leave the club," said Calderon, quoted by ​Sport. "He insisted on keeping Cristiano and transferring Bale, and the president did completely the opposite. "Zidane also wanted to sign some players and transfer others -- apart from Bale -- but he didn't get [his wishes], so he decided to leave. And he was right." Predictably, Real Madrid have struggled without Ronaldo. They sacked Zidane's replacement Julen Lopetegui after just 14 games in charge, and they are now ten points off the pace in La Liga. Calderon believes it is not just Ronaldo's goals which are missed. "The point with Cristiano was not only that he scored 50 goals per season but also that he was a leader," added Calderon. "He could help team-mates. He was always encouraging them to play better, to train more. "For me, that is the main problem -- not only the loss of his goals but Cristiano's behaviour, his attitude." Ronaldo averaged more than one goal per game over the course of nine seasons at Real Madrid, and his prolific record has continued since he moved to Serie A, with 14 league goals for his new club so far.